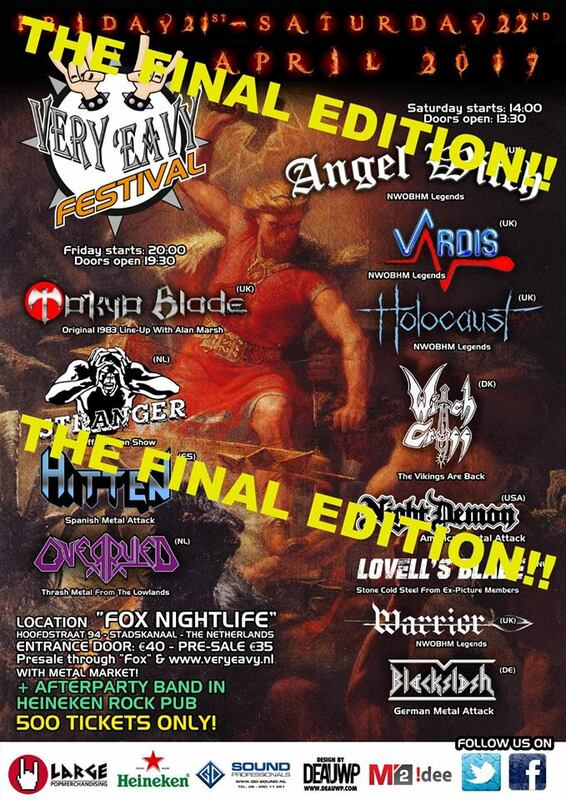 This year’s Very ‘Eavy Festival will be the last edition! I can easily make this a long story and explain why it doesn’t work for me anymore, but the main reason is, that it’s simply too much work and i can not combine the festival anymore with my business.There are many more reasons, but i prefer to keep this announcement short. Very ‘Eavy Festival became “my baby” in the last six years and every year was a great challenge and a huge peronal succes, so this discission was not easy at all. I will keep promoting the Heavy Metal and Hardrock scene in the North of The Netherlands and the brand “Very ‘Eavy” will not dissapear. There will be Icons Of Rock and if i can, i will keep booking bands, but no more Very ‘Eavy Festival! I look back at 6 fantastic editions and look forward to the final edition, which has to be the biggest Very ‘Eavy Party of 'em all !! If you wanna be part of the final edition this april 21st + 22nd, buy your tickets now because less than 100 are left!